Every morning my school bus, and eventually my first car would travel along and finally cross the Lehigh River and I'd watch the trains carrying materials in, and finished products out. I passed full parking lots and busy crosswalks with men hustling to and from work. There was activity abound, often seven days a week. During the summers there were occasional picnics and even a softball league. Bethlehem Steel wasn't so much a part of our culture as it was our culture. The original mill at the Bethlehem , PA plant. My father and two uncles worked for the Company their entire working lives. Our prosperity as a family depended on the success of one company, and we were by far not alone in that regard. As a boy, I remember their solemn warnings that Bethlehem Steel would not be there for the next generation of Pennsylvania 's workers. 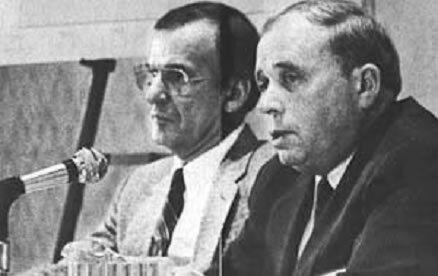 These warnings came even before talk of modernization, tariffs, regulation and centrifugal casting permeated our dinner table discussions. It was a classic case of those on the front lines seeing the picture so much more clearly than those in the Boardroom. 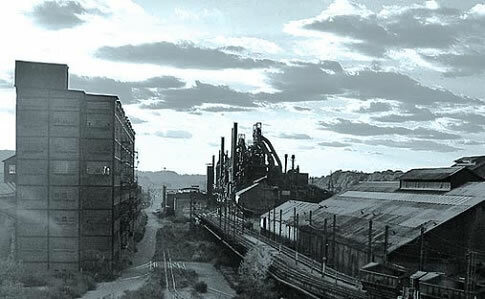 Bethlehem Steel was originally conceived in 1857 when Augustus Wolfe founded the Saucona Iron Company. The company's first years were turbulent as a financial crisis at the time brought the construction and the building of the plant to a virtual standstill. The plant was eventually finished at another site, and the company name changed to The Bethlehem Rolling Mill and Iron Company. 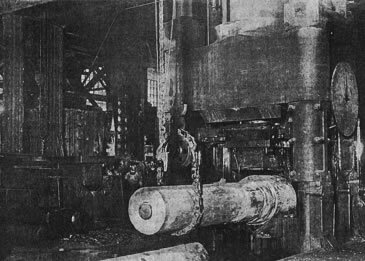 The first rolling mill was completed in 1863, with a railroad being added in September of the same year. The company's two principal products at that time were rails for the growing railroad infrastructure across the United States as well as armor plating for the Navy. During the 1880's, amid growing competition from Carnegie Steel among others, the company began to lose its dominant position in the rail market, and saw its business shift more to shipbuilding. The company assumed its more easily recognized name, Bethlehem Steel in 1899, and in 1904 Charles Schwab and Joseph Wharton ( UPenn Business School founder) formed the Bethlehem Steel Corporation. With products like the wide flange and a revolutionary rolling mill, the Company asserted itself as a dominant force in US steelmaking and became a leading producer of steel to the construction industry. The company's innovations in no small part helped to usher in the advent of the skyscraper. 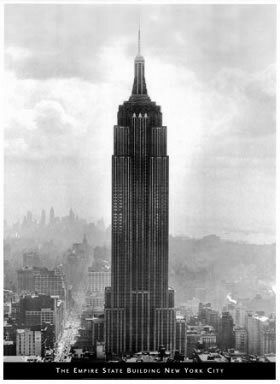 Bethlehem Steel products were used in prominent American landmarks such as the Empire State Building , the George Washington Bridge , the Golden Gate Bridge , the Rockefeller Center , Madison Square Garden , the Hoover Dam and the Chrysler Building . America 's position of dominance in the area of heavy manufacturing was only strengthened after World War II as much of industrialized Europe and Japan lay in ruins. As these foreign nations rebuilt, however, they did so with ultramodern technology and they were able to realize efficiencies that were unattainable by domestic steel producers. From the early 1950's through the 1980's a significant price differential existed between American and imported steel, and Bethlehem Steel began to see its first financial losses. For whatever reason, the leadership of the company was either not interested in or not convinced of the benefits of modernization, even though it was painfully obvious to even the most casual of observers. The slide continued, and in 1991, the company exited its coal mining business. On November 18 th 1995 , Bethlehem Steel halted all steelmaking activity at the Bethlehem location, and for the first time in over a century South Bethlehem was cloaked in silence. Termination of shipbuilding activities came two years later, and effectively, the company ceased to exist. Bethlehem Steel had become but another casualty of broken monetary policies that sought to hide inflationary activities by bringing cheaper imported goods into our markets. These policies were the death knell of American heavy manufacturing by and large, and even though some behemoths still hang on, it is quite obvious that the writing is on the wall. The supremacy of American manufacturing was lost to the unsustainable service economy model where Americans shuffle paper while the rest of the world produces. Like most icons, the full impact of the steel industry both in Bethlehem and the rest of America has not been fully appreciated until the very end. It is much like that moment in time when you look back and realize that something is gone, never to be brought back. There is emptiness along the banks of the Lehigh River , but for many, that emptiness extends well beyond the torn out buildings, rusting railroad tracks and the large cranes frozen in time. It is as if we have lost a good friend. The plan now is to replace that friend with casinos and a battery of insipid consumer attractions in an attempt to paper over the loss of 100 plus years of manufacturing excellence. That's the bad news. The good news is that, much like nature, there are predictable ebbs and flows in economies. While for now we seem to have gone off the deep end, there will come a time when we will have to rebuild our once mighty manufacturing base. Hopefully one day soon when our children and grandchildren travel along Daly Avenue in South Bethlehem , they will see full parking lots, busy workers, cranes, and the undeniable actualization of America returning to prominence.